When people hear the name “Pony Express”, their minds picture young cowboys racing their horses across the untamed wilderness. Risking all against the elements, and sometimes unfriendly natives, was a daily experience for these riders. While this enterprise only lasted 19 months, it’s accomplishments secured its place in history. In St. Joe, Mo. you can visit the Pony Express National Museum and discover more details about this amazing undertaking. The 2000 mile route between St. Joseph, Missouri and Sacramento, California was filled with potential pitfalls, and required passage through the Rocky Mountains. The entire route was covered in just 10 days, compared to the 25 days it took with the overland stage coaches. Speed was the goal, so the company went to great lengths to keep the load on the horses as light as possible. Riders were usually small and wiry, and weighed between 100 and 125 lbs. That is comparable to our modern day racing jockeys. Most were young, and they did not hesitate to employ teenagers. The Pony Express Museum brings the history of this operation alive with dioramas, displays, and tons of memorabilia. Your visit begins with a short video, which gives an overview of the company, as well as the rationale behind the need for this route. Afterwards, visitors begin a self-guided tour through the museum. As you view the various displays, you will find QRC codes attached to them. Guests can use a reader on their phones to discover more information about the topic at hand. This feature is great for those wishing to dive deeper into a specific topic. The Pony Express Museum is family friendly, and the displays are set up in a fashion that allows each person to move at their own pace. Along the way their are interactive features, such as an old hand pump well. Guests can pump water into a trough much like pioneers would have done over 150 years ago. There is even a viewing area to see the inner workings of the well. 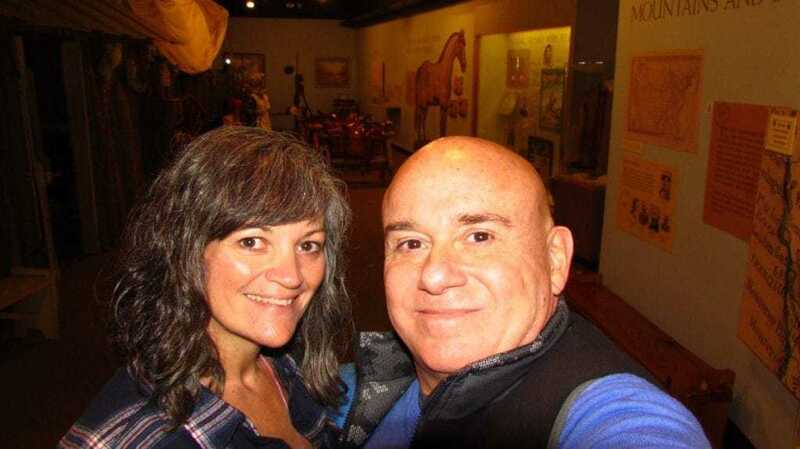 As visitors travel through the displays, they unfold the complete story of the Pony Express, and the people behind it. You will learn about the history of St. Joe as a jumping off point for the Oregon and California trails. Guests can explore a replica of one of the relay stations that would have been found along the route. Located every 10 to 15 miles apart, these small lodges furnished the riders a 2 minute break to switch horses. There is a Children’s Play Area located at the end of the journey. Their imaginations can run wild, as they recreate some of the experiences that children of those days would have encountered. Afterwards you can visit the museum store, and speak with the staff. The Pony Express Museum is located at 914 Penn Street in St. Joseph, Missouri. They are open Monday through Saturday from 9 am – 5 pm, and on Sunday from 11 am – 4 pm. Admission is $6.00 for adults, and $3.00 for students. It’s a great place to learn about this important part of “taming the west”.